There are a variety of ways you can train with Manorama, from online courses to in-person workshops; private study to Sanskrit Studies’ CDs and books to support your self-practice and studies; transformational retreats to monthly meditation sessions. Please browse the website for more information and inspiration or feel free to contact the Sanskrit Studies/Luminous Soul Team if you have specific questions on how to train with Manorama: sanskrit@sanskritstudies.org. I took a course with Manorama at my local yoga center and want to continue my studies. How can I do this? 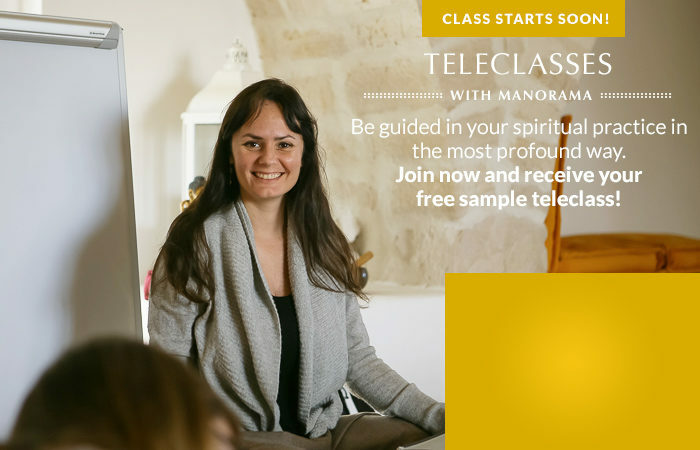 Teleclasses with Manorama are the best way to continue your studies on a regular, weekly basis. These live, interactive classes are conducted over the telephone and are therefore accessible from wherever you live. They include lecture style teachings, in-class discussion, chanting, meditation and homework assignments. More Information. Manorama also tours extensively throughout the US, Europe and Canada offering in-person workshops, immersions and retreats to support your studies. To see if Manorama is teaching in your local area, view the up to date schedule here. There is also an extensive range of downloadable and physical products available for purchase in the shop. These include wisdom discussions, guided meditations, tools to learn Sanskrit and downloads to support your study of ancient texts like The Bhagavad Gita and Patanjali’s Yoga Sutra. 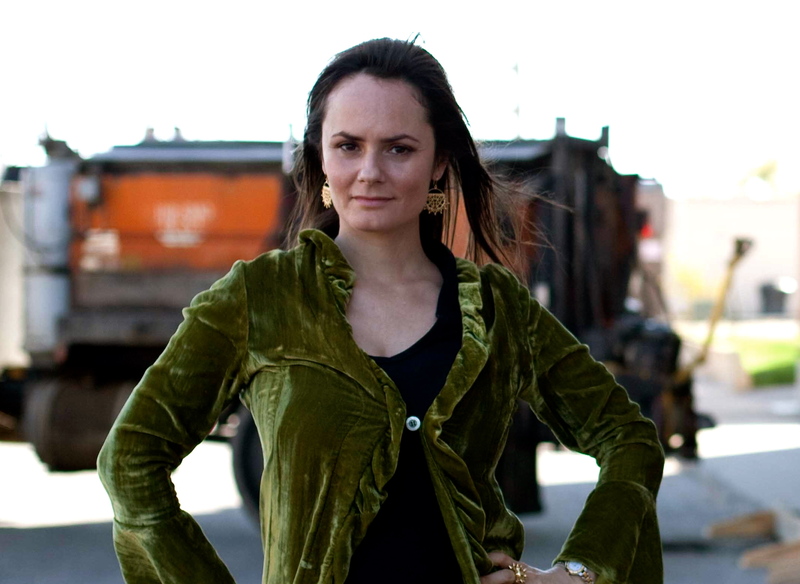 Manorama travels extensively throughout the US and Europe offering courses, immersions, and sanskrit training for yoga teacher training programs. Please submit a form on the contact page for more information on hosting Manorama or to incorporate Sanskrit Studies in your Yoga Teacher Training Program. More information on the Sanskrit Studies Method and Luminous Soul Teachings is available on the courses page. I'm a yoga teacher and want to work on Sanskrit Studies and Luminous Soul principles for my classes. Is there a learning path you can recommend for me to follow? To stay inspired in your own daily practice Manorama recommends attending regular in-person events or teleclasses. There are monthly Satsang Sessions in NYC, weekly teleclasses on the phone, or workshops and retreats. Regular attendance in classes provides the framework to understand and integrate the principles of the Sanskrit Studies Method and Luminous Soul Teachings in your daily practice. Alongside direct study Manorama emphasises the importance of building a consistent home practice. There is a full range of products available in the shop to support Yoga Teachers with their ongoing education. The Yoga Language Series tm provides comprehensive training in Sanskrit for Yoga Teachers, from precise pronunciation of the Sanskrit alphabet and yoga poses, to leading chanting of common yoga invocations in your classes. I'm an absolute beginner to Sanskrit, and am interested in learning. What would be the best class to take? The best courses are Sanskrit Studies Method Signature courses; An Introduction to Sanskrit or Sanskrit Module 1 with Manorama. These engaging, fun, inspiring courses are great for beginners to Sanskrit, and are available through in-person workshops or as a teleclass. To see when and where these courses are next being offered view the up to date online and in-person schedules. Does Manorama provide Sanskrit translations for tattoos, yoga centers or yoga business ventures? Due to the high number of requests Manorama receives, she is no longer able to offer these professional services. to learn more about how you can incorporate Sanskrit Studies into a Yoga teacher’s training program. Pure sacred vibration. Anyone can plug into the sacred space of Divine sound by listening to Manorama chant.